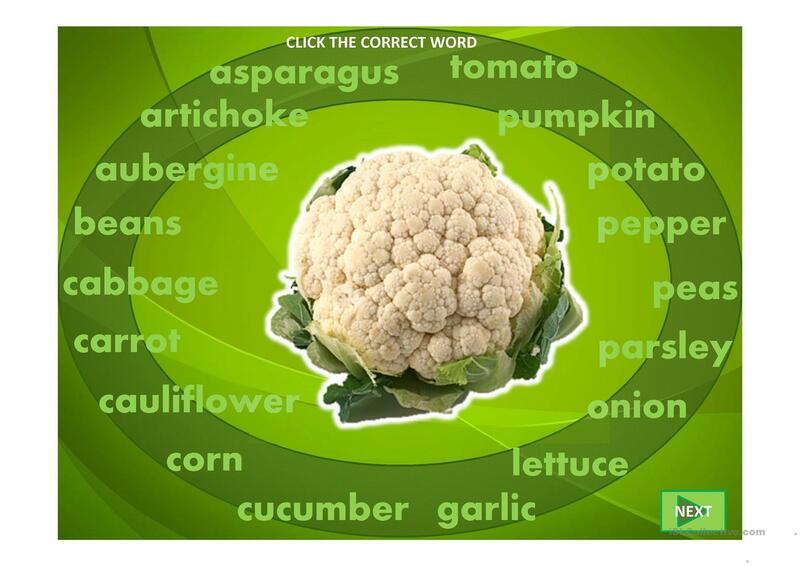 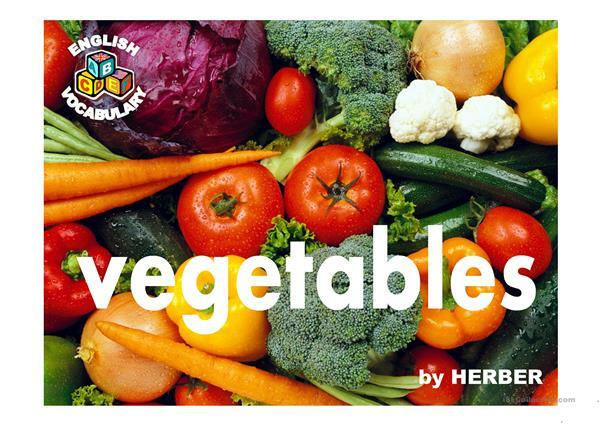 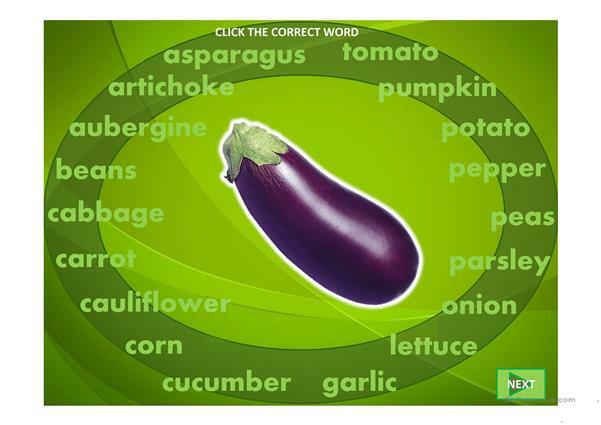 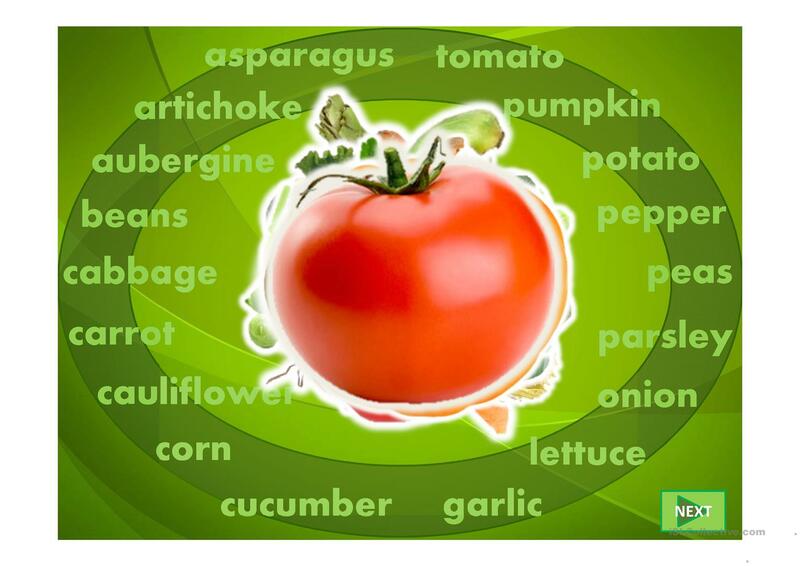 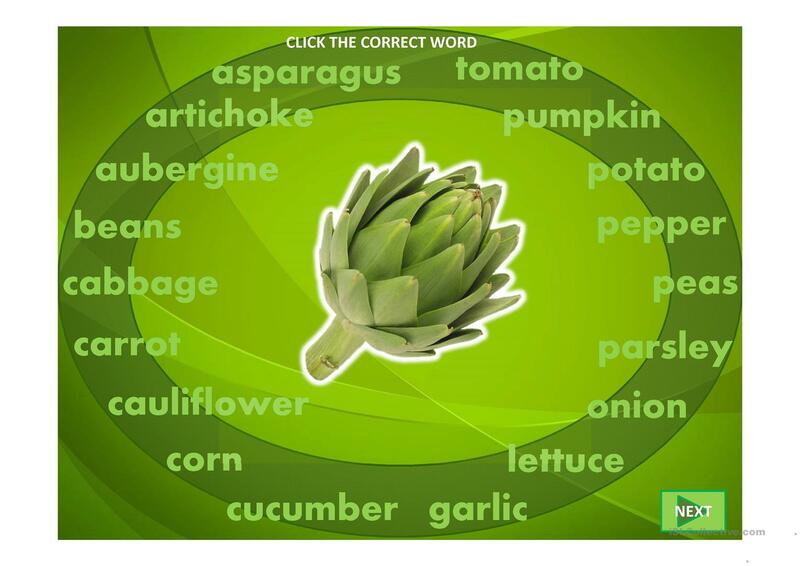 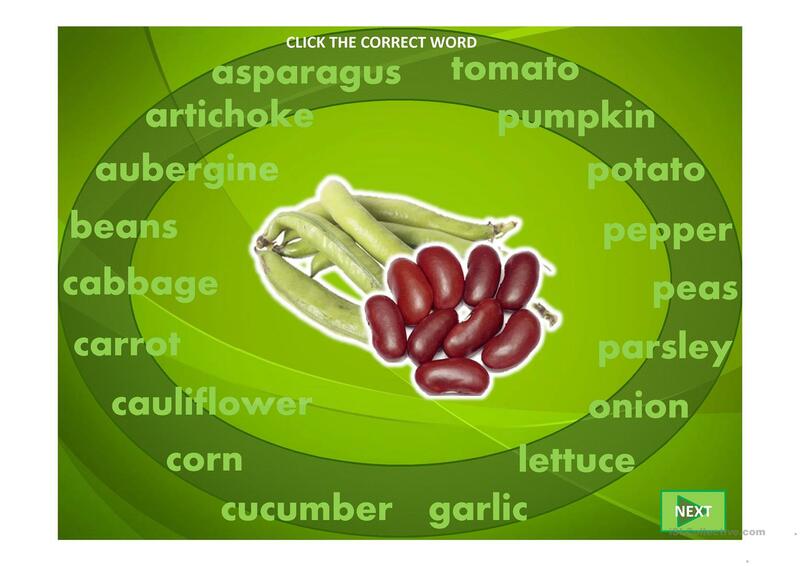 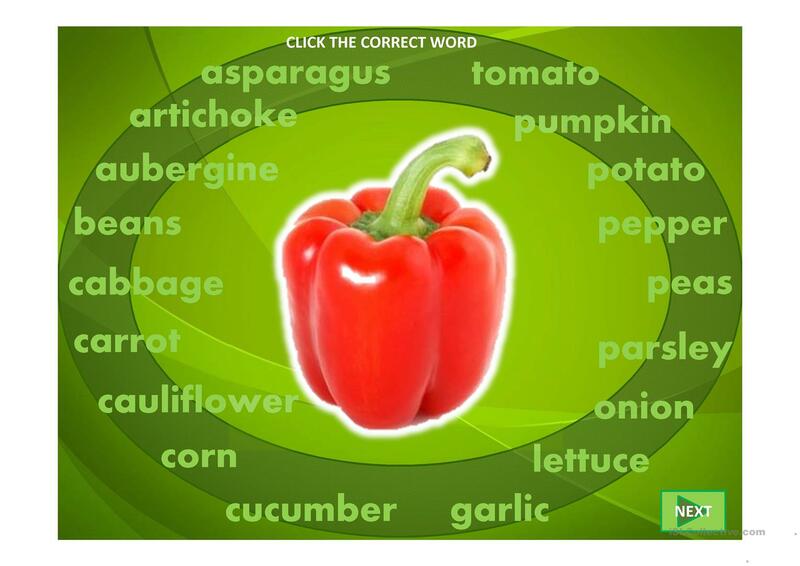 This is an interactive powerpoint presentation on vegetables. 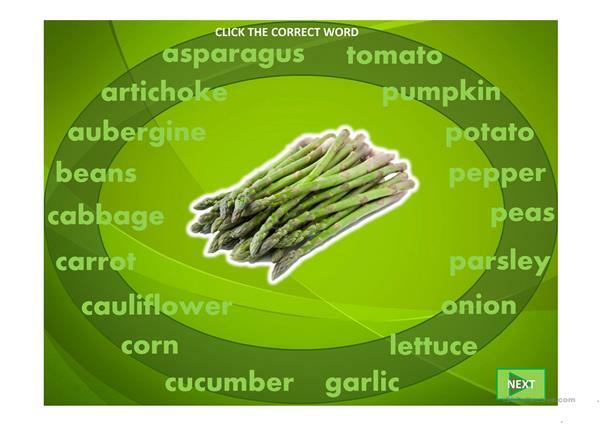 It contains some audio flash cards and a multiple choice exercise. 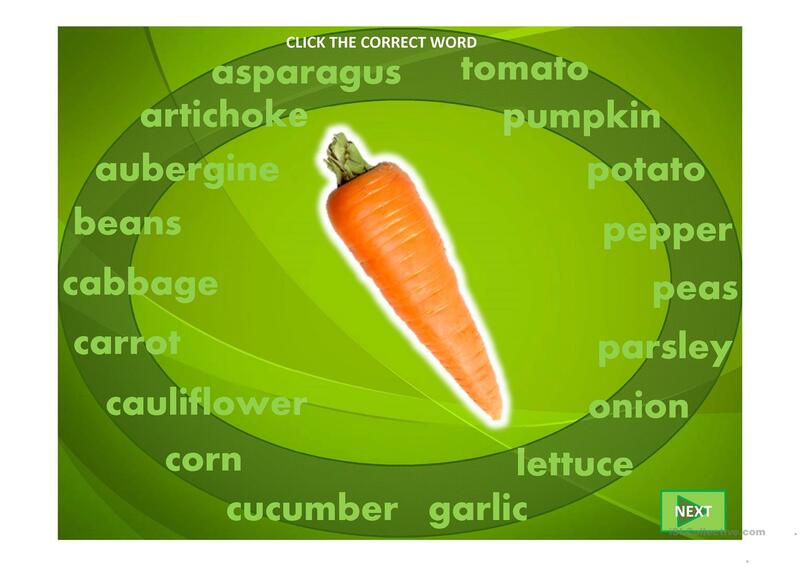 Hope is useful for you and your students. The present downloadable teaching material is recommended for high school students, elementary school students and adults at Beginner (pre-A1) and Elementary (A1) level. 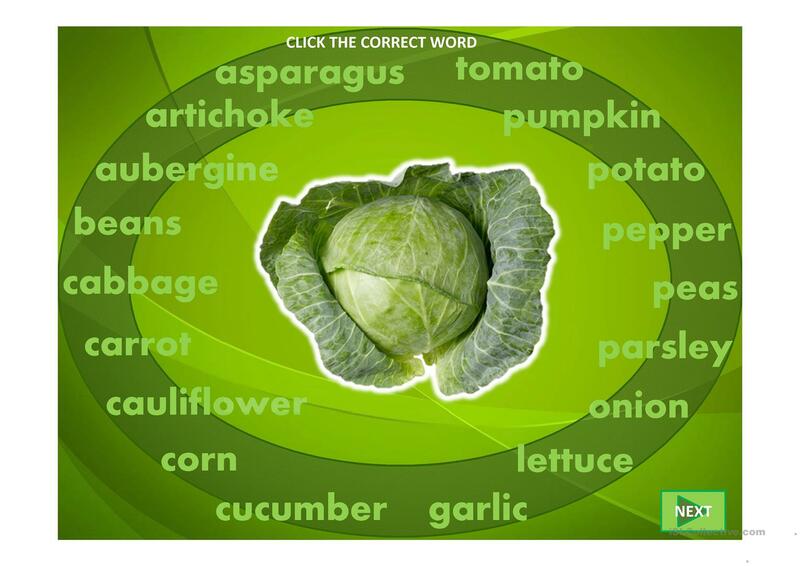 It is a valuable material for honing your pupils' Listening, Spelling, Speaking and Reading skills. It centers around the vocabulary topic of Food. You will find the answers at the end of the worksheet.